Vegetarian, flexitarian, vegan, carnivore, pescatarian…there are many words to describe the way people eat. One of the best things about this style is that it can be combined with others. You could be a Vegetarian Qualitarian or a Carnivore Qualitarian. It’s a simple, but effective concept and one that I’ve followed for awhile now, though I never had a single word to describe it. I discovered the above snippet in my January/February 2013 copy of Vegetarian Times. I know it’s April, and I’m a little late sharing, but better late than never, right? This pretty much describes my eating style from the last couple years to the present. I like to say, “it’s about choosing the better choice…not the perfect one.” But, it hasn’t always been this way. I have perfectionist tendencies, so I used to beat myself up about not getting things just right. I found that this type of thinking led me down a negative path that was not conducive to my goal of healthy living. Worrying about not making the perfect choice was stressful and would sometimes make me feel more like quitting than moving forward. When I started focusing on a more positive approach, thinking about making better choices instead of perfect ones, I really started feeling more confident and happy about healthy eating. Mostly, when I started focusing on choosing better over perfect, I found a certain sense of freedom…like the weight of perfection had been lifted. It was wonderful. Bottom line – my current eating strategy is to do what I can, focus on the positive, and make the better choice. 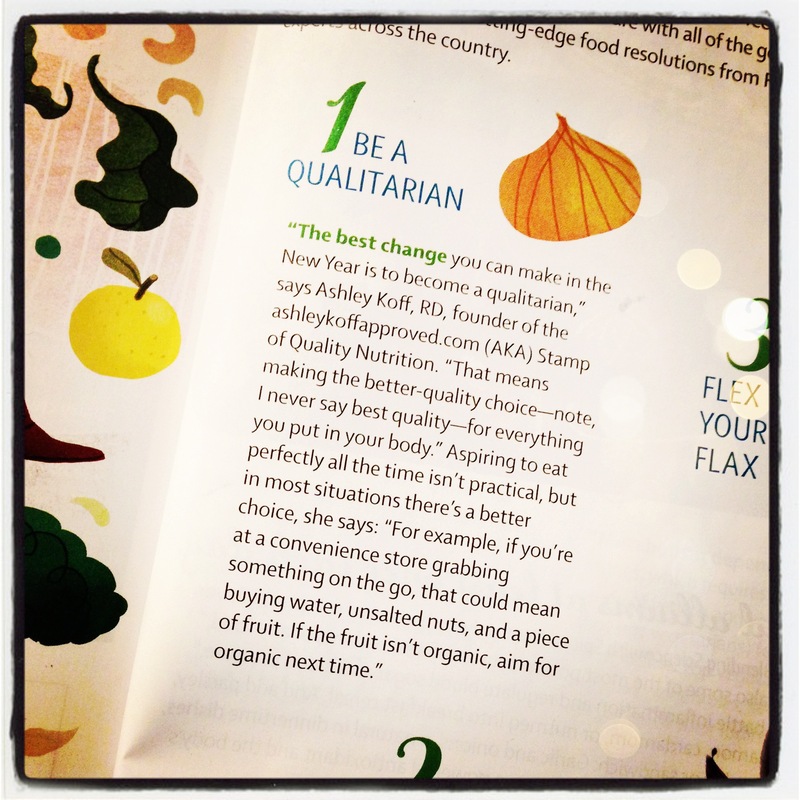 Yup, I’m definitely a Qualitarian, and I’m loving it. What better choices have you made recently? Thanks for sharing this! I have been struggling with the same issue lately. I try to eat organic whole foods, but sometimes it just doesn’t work out like that! I like the idea of just focusing on the better choice of your options and not stressing about being perfect every time! This is a great post!! Thank you so much for sharing it! Love hearing this!! Thank you so much for posting this! I was thinking about “always making good food choices” today. Going for higher-quality choices rather than perfect choices in eating is a much more encouraging (and manageable!) way to eat.